“This is the best bulk injectable we have used. We will be switching. Keep the tip immersed in the composite to avoid bubbles. Inject slowly and be careful how much pressure you use. It extrudes quickly and easily. Great for base layers, and for restoring endo/implant access holes. Allow time for it to settle into the preparation. For Class V restorations, tease the margins with an explorer to avoid gross overfill. Great for placing lingual orthodontic retainers. It did not slump and engaged the retainer wire. 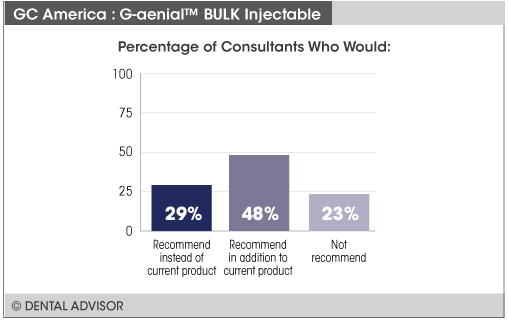 G-aenial™ BULK Injectable was evaluated by 31 consultants, with a total of 280 uses. 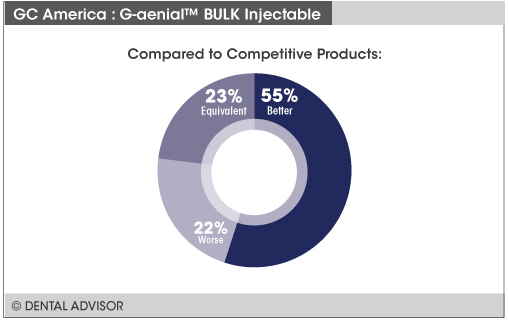 G-aenial™ BULK Injectable is a radiopaque, light-cured, high-strength, nano-particle composite formulated to offer excellent viscosity and adaptation to the cavity preparation, helping to reduce the occurrence of porosities and air bubbles. 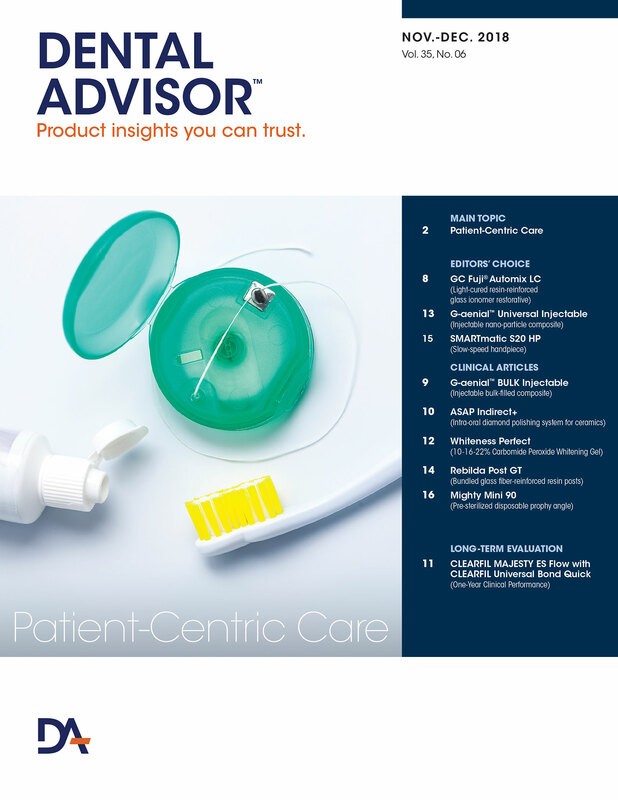 This material may be used as an efficient, time-saving, one-step application for bulk filling up to the occlusal surface (up to 4 mm depth) without the need for capping or veneering with another composite. 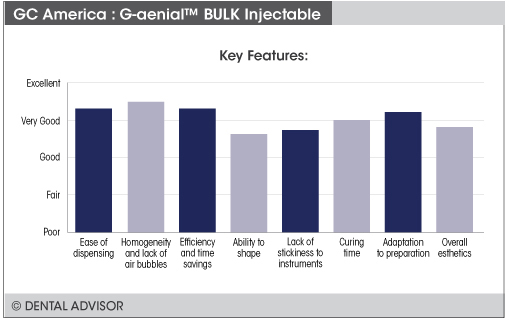 G-aenial™ BULK Injectable stays where placed and is non-sticky. The homogenously dispersed, nano-particle formulation provides high flexural strength, wear resistance and gloss/color retention. 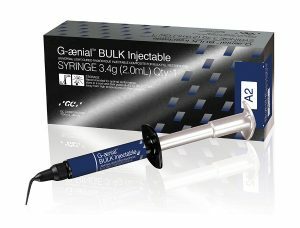 G-aenial™ BULK Injectable is available in 3.4 g syringes in shades A1 and A2, together with tips.